“Our federal policy on marijuana is badly broken,” Kennedy wrote in an opinion piece for STAT announcing his change of heart. Kennedy opposed his home state’s move to legalize marijuana, which voters approved by ballot measure in 2016, and as recently as March voiced skepticism of the push to legalize the drug. 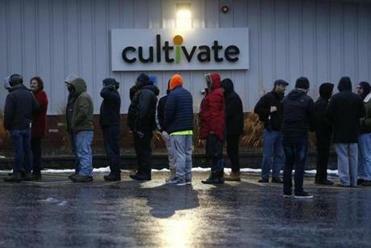 Massachusetts’ first two recreational marijuana dispensaries opened to long lines and lots of buzz. In an interview with The Boston Globe, Kennedy said his concerns have not abated; he remains worried, in particular, about the public health fallout that could accompany liberalization of marijuana policy. But states are forging ahead, and “the reality is that the status quo is untenable,” Kennedy said. The current patchwork of state regulations and the vacuum of federal authority are not serving the vulnerable people who were the reason he opposed decriminalization and legalization efforts, he said. He also acknowledged the disparities in the criminal justice system surrounding the drug, where black users are more likely to be arrested and charged for marijuana possession than white users, despite equal rates of use across all races. “None of this policy actually makes sense. Let’s actually go about doing this right,” Kennedy told the Globe. To him that means a robust role for the federal government that includes setting up health and consumer safety “guard rails” that exist for alcohol and tobacco – such as packaging and advertising rules to ensure producers aren’t targeting kids, manufacturers have quality standards, and there are education efforts to encourage safe use. Federal legalization also would allow Congress to direct pot-related tax revenue into research efforts studying marijuana’s health impacts. He has no plans to introduce legalization legislation on his own, but said he expects the House, under Democratic control next year, to consider related measures as there’s an emerging consensus in the party on the issue. Kennedy, who doesn’t drink, said his own family’s struggles with substance abuse have informed his thinking on the issue, specifically his concern for what a more liberal marijuana policy would mean for those struggling with addiction, he said. Right now, he concluded, the federal government can’t effectively or persuasively help protect those people. 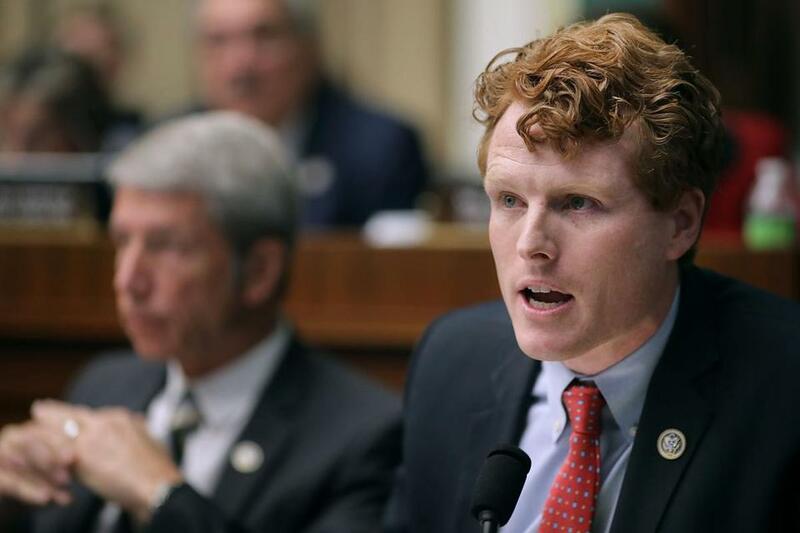 The Newton Democrat said his cousin Patrick Kennedy, a former Rhode Island congressman who has become an outspoken advocate on mental health and addiction issues, has “informed and strong views” on the topic and has been helpful, even though the cousins now stand on opposite sides of the legalization question. Patrick Kennedy is a cofounder of the antimarijuana legalization group Smart Approaches to Marijuana and is now listed as an “honorary adviser” on the group’s website. The group released a statement Tuesday disagreeing with but not condemning the younger Kennedy’s revised position. In an interview, Patrick Kennedy called his cousin’s op-ed “thoughtful” and rooted in sincere public health concerns that they both share. “This is going to be essentially a massively commercialized product that is going to jeopardize the public health and lead to higher rates of addiction and, where in people are predisposed to mental illness, that as well,” said the elder Kennedy. Victoria McGrane can be reached at victoria.mcgrane@globe.com. Follow her on Twitter@vgmac. Christina Prignano contributed to this story.